Lead is a natural element and does not break down in the environment. Once lead has been dispersed and re-deposited in the environment, it will remain to poison generations of children unless it is controlled or removed. 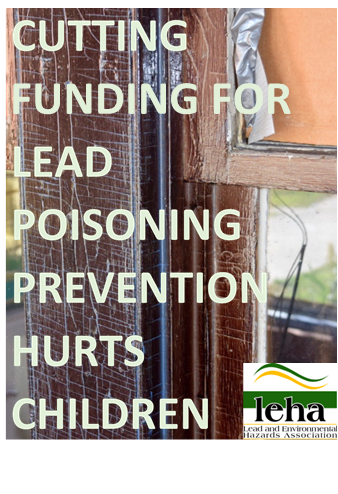 Lead is a serious danger, especially to children ages 6 and younger. Children are most commonly poisoned by lead when they ingest lead-contaminated dust from lead-based paint. Once in the body, lead is a powerful toxin. It can cause hyperactivity, developmental delays, behavioral problems, learning disabilities, anemia and hearing problems; these effects are long-term and often irreversible. Children with high levels of lead in their bodies require hospitalization and medical treatment. Very high lead exposures can cause mental retardation, convulsions, coma and death. Children 6 years old and younger are particularly vulnerable to the damaging effects of lead because their central nervous systems are not fully developed and their bodies absorb and retain lead to a greater extent than the bodies of adults. Additionally, infants and toddlers often crawl and play on the floor, play in the dirt, and put things in their mouths. Although children from all socioeconomic groups can be effected, those from low-income and minority families are at greatest risk. African American children are almost five times as likely as Caucasian children to be lead-burdened. Low-income children are eight times as likely to be lead-burdened as children from wealthier backgrounds. An estimated 60% of all children suffering from childhood lead poisoning are enrolled in Medicaid. 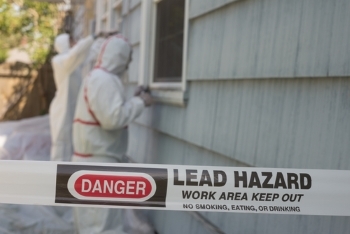 Lead may get inside children’s bodies when they ingest dust, paint chips, water, and food. Children may not look sick or feel sick, even if they have very high levels of lead in their blood. Only a blood test can determine lead levels. The federal Medicaid Act requires state Medicaid programs to provide Medicaid-enrolled children with a lead blood test at 12 months and again at 24 months (or between 36 and 72 months if the child failed to receive a screen at either 12 or 24 months). Any child under the age of 6 years who has never been tested for lead should be tested immediately. A mother with an elevated blood lead level exposes her unborn child to lead.